Cape Town counts among the most beautiful cities in the world. Wherever you look in this city, you will see towering mountains, the glistening ocean or both at the same time. Some spots are, however, more picture-perfect than the rest. While you can feast your eyes with beautiful views atop the nearby mountains, others are visible at sea level and another may take you walking through the treetops. Whether you need a new profile picture sure to get you hundreds of likes or whether you want to capture a moment at a gorgeous setting, check out the following places where you get the most scenic views in Cape Town. 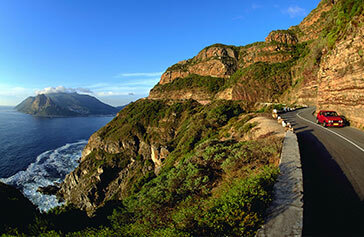 Chapman’s Peak Drive tops the list of the most scenic views in Cape Town. 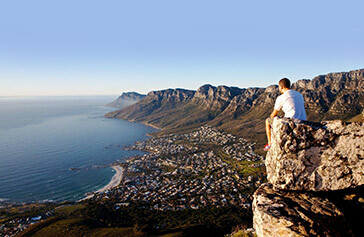 Indeed, it is a must for anyone who is passionate about the awe-inspiring landscape of Cape Town. It is not only a convenient route between the city and the Southern Peninsula, but it also offers drivers the chance to explore and admire the beauty of the route between Noordhoek and Hout Bay. This 9 km drive boasts of 114 curves and offers endless opportunities for photography. Also, the drive offers stunning 180 degree views with many spots on the way where you can stop and take in the exquisite scenery or sit down for a relaxing picnic. The road is definitely a paradise for motorists, sightseers, picnickers, runners, hikers and bikers. At just half an hour drive from Cape Town, you reach the famous Cape vineyards. Here, the cultivation of grapes dates back to the 1600s. 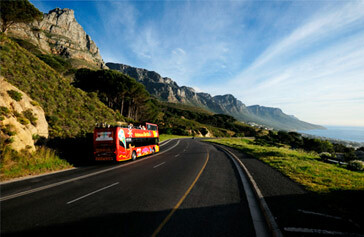 In fact, the Cape offers some of the best wine routes in the world. Along with the amazing cellar tours and sessions of wine-tasting in a warm setting, visitors can also admire the picturesque scenery of the vineyards. The wine routes will allow you to explore the hidden facts of the wine-lands as well as feast your eyes with the enchanting views of the vineyards! Cape Wine-lands indeed offer incredible views which will keep you wondering at the reds, blondes, oranges and purples that stitch the grape-lands together. 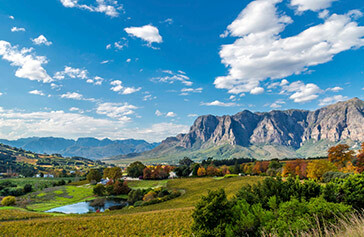 Immerse yourself in the fine wine-making tradition of the Cape in the midst of such scenic views. Visit Cape Town in the months of August and September and you will be able to experience the West Coast Flower Route in all her blossoming glory! The West Coast Flower Route is about 100 km from Cape Town. 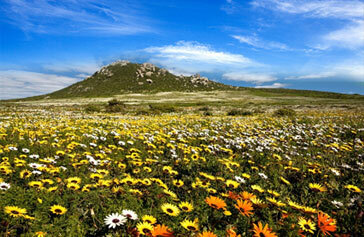 The wild-flower displays on the Cape West Coast are considered to be among the best in the world. So, take a day out when the sun is shining to see the flowers in their full bloom. Take the R27 from Cape Town to Langebaan, the N7 north via Clanwilliam to Springbok and R364 between Clanwilliam and Nieuwoudtville. If you cannot make it the whole way to Springbok, then head to Darling and the West Coast National Park for the day or the weekend. The free annual flower show is an opportunity to indulge in the senses. Experience the pure pleasure of these flowers. The tree-top canopy at the Kirstenbosch National Botanical Garden gives visitors a chance to experience the park in a completely new way from above the trees. Nicknamed ‘boomslang’ (‘tree snake’), the walkway offers visitors an unusual and unique view above the treetops down the forest floors. Experience the forest from high above the ground and see birds and other animals that are otherwise difficult to spot. At one point, the walkway also provides spectacular a 360 degree view of Cape Town and the surrounding majestic mountain slopes - you get a view that takes the eye all the way from the sun-kissed slopes of Table Mountain to the distant misty Hottentots-Holland peaks. Stroll down the aerial avenue for a whole new take on the floral offerings below, as well as for a different perspective on Table Mountain and the city beyond. 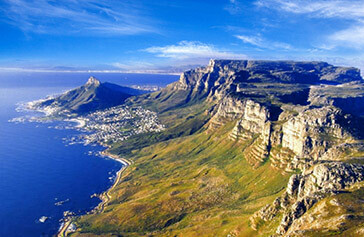 The most remarkable landmark in Cape Town, Table Mountain offers spectacular views of the Mother City. 12 Apostles, V&A Waterfront, Robben Island, Mitchell’s Plain and the Cape Flats, Cape Town Stadium - Table Mountain, at an impressive 3,500 feet, is the perfect place from which you can view them all! Take the cable car to admire the stunning views of Cape Town and its spellbinding natural surroundings. The more adventurous ones can either hike up to the peak and abseil their way down. With its distinctive shape of a proud lion, Lion’s Head is best known for its stunning views of the Mother City and Table Bay on one side and the Atlantic shoreline on the other side. It is a spectacular walk to the top. Although it can be quite steep at times, the outstanding views of Cape Town on the way up will keep you motivated to reach the top. All the way to the summit, you will be greeted by various vantage points over the ocean, the city and even neighbouring Table Mountain itself. Lion’s Mountain is a real delight for photographers. Besides, locals love to climb up just before sunset to witness spectacular sundowners at the top - just be sure to get back down before it gets too dark. You can also add a little mystery to your walk up Lion’s Mountain by tackling it during the full moon. You will be rewarded with a glittering view of Cape Town. Maiden’s Cove is a beautiful scenic lookout point nestled between Clifton’s beaches and Glen Beach in the famous Camps Bay. This scenic lookout point is well renowned for its exquisite views of Table Mountain and the Twelve Apostles, as well as its view of the Atlantic Ocean. Maiden’s Cove is a great spot for a sunset picnic. You can even set up a grill and have a braai (barbeque) against the gorgeous backdrop of Table Mountain and the Twelve Apostles mountain range. Also, the parking and grassy area at Maiden’s Cove is a popular spot to watch the sunset. Dolphins can often be spotted frolicking in the water and during the months of June to November, it is fantastic for whale watching. Signal Hill is the “lion’s body” for the adjoining Lion’s Mountain. It is a favourite among the locals and serves up the perfect spot for romantic couples looking to end the day with an awesome view. The hill is located 350 m above the ground and offers awesome 360 degree views of the Cape Town City Bowl, Table Mountain, Green Point and Robben Island. Hikers on the hill are rewarded with great views across Table Bay harbour, the central city and the shimmering Atlantic Ocean. It is a great alternative to make the tiresome trek up Lion’s Head as this hill offers a closer view of the city with Atlantic Ocean in backdrop. Winding its way between the Twelve Apostles and the Atlantic Seaboard, Victoria Road connects Camps Bay and Hout Bay. With its smooth curves and turns, this road is a favourite among tourists and locals alike. It offers fabulous views and it is a joy to drive, ride or cycle along this road. Today Victoria Road is a tourist attraction with several hotel such as President Hotel, shopping centres and restaurants running along this historical road. As you leave Stellenbosch behind and head to new vineyards in Franschhoek, make sure to take the Helshoogte Pass. Here, you will get majestic views of the towering mountains above and lush valleys below. The road passes through some of the most expensive wine farms in South Africa including Boschendal, Tokara and Delaire Graaf. Apart from offering beautiful wine farms on Helshoogte Pass, you will find that this pretty pass is indeed a convenient and picturesque route between Stellenbosch and Franschhoek/Paarl.